It's so hard for me to review this dressing. It's just that the taste of "my" Caesar dressing remains in my memory. You can check that recipe out here. It's pretty healthy, but "my" oil-free Caesar dressing has salt in it from the low sodium Tamari. It's better than the Caesar Dressing from the Eat to Live Cookbook. It's hard to get around that. 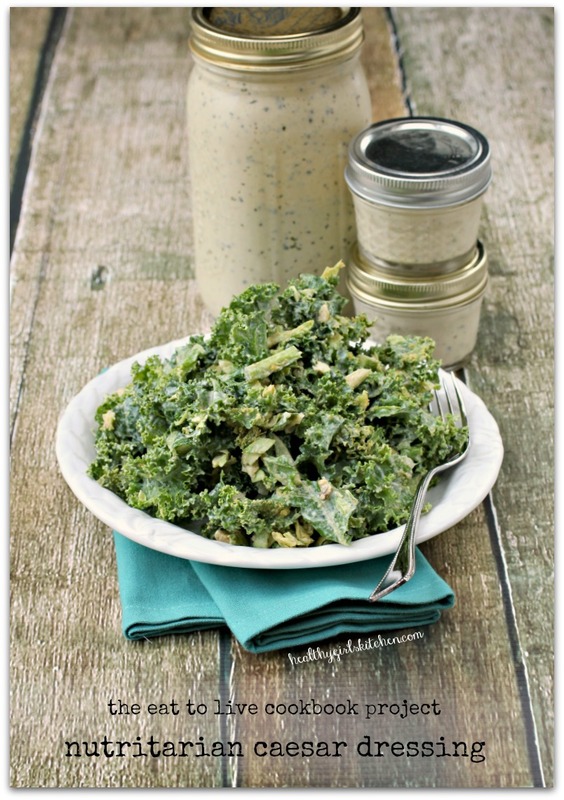 Related Post "The Eat to Live Cookbook Project: Nutritarian Caesar Dressing"